Greenport Harbor is now home to the decommissioned National Historic Landmark, Fire Fighter, the most famous fireboat in the world. She’s docked near the Maritime Museum, sports a spiffy new coat of paint, and is all ready to welcome you aboard for the 2018 season. She fought long and hard, but now it’s time for Fire Fighter to enjoy a retirement that’s all about fun for visitors and amazing water displays. This summer marks the vessel’s 80th birthday and several events are planned to celebrate. 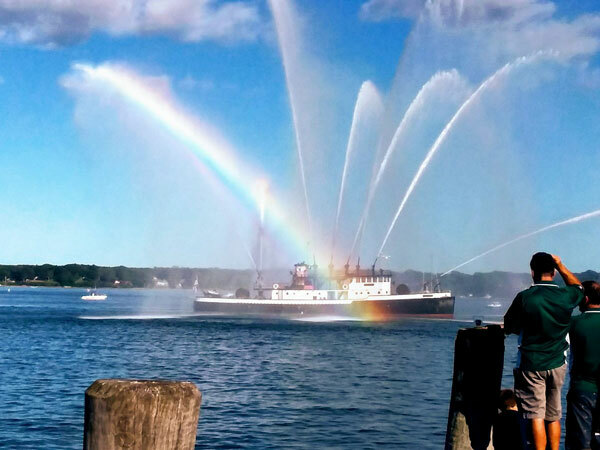 She’s open every weekend for tours and, on special occasions, will motor out into Greenport Harbor and show off her firefighting superpowers by shooting huge jets of water all around and hundreds of feet into the air. It’s a dazzling sight. 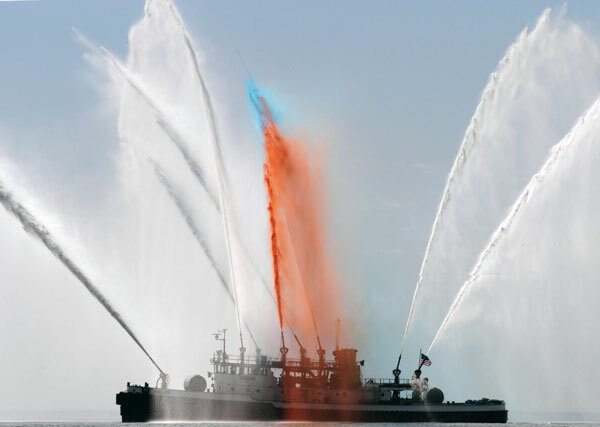 “She was the Queen of the Fleet, greeting ocean liners in New York Harbor with her grand water displays,” said Charlie Ritchie, president of the Fireboat Fire Fighter Museum. But as the New York City Fire Department’s most powerful fireboat back in the day, her real job was extremely important. She and her crews served at the front lines of more than 50 fires, including some of the largest and most dangerous emergencies in maritime history. At the 1973 collision of the SS Sea Witch and the SS Esso Brussels, Fire Fighter rescued 30 crew trapped in the fire. For this, she received the Merchant Marine Gallant Ship Award. She was also part of the FDNY Marine Unit response to the terrorist attacks on the World Trade Center on 9/11/2001. When the towers collapsed, the underground water mains were destroyed and no water flowed to the site. 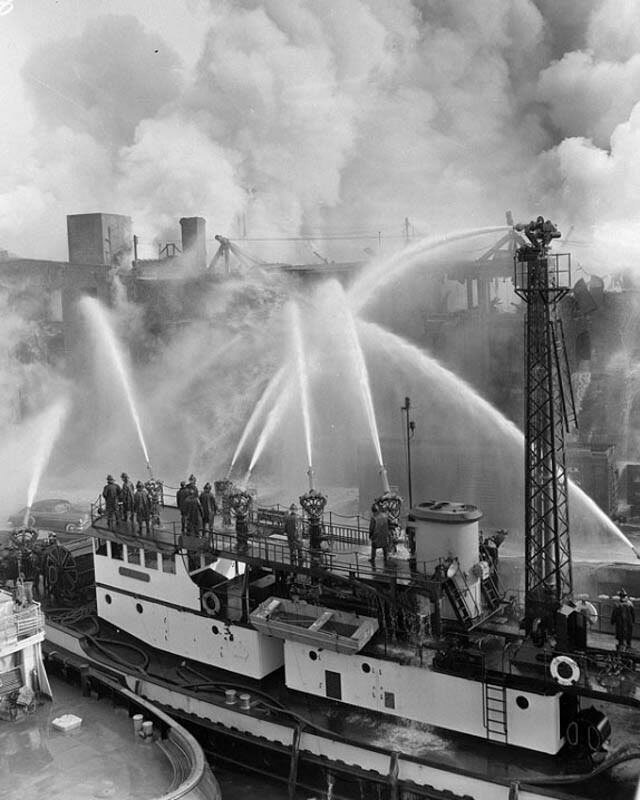 For three weeks, fireboats were the only source of water to fight the fires. Fire Fighter was designed by naval architect William Francis Gibbs, and built in 1938 during the Great Depression. “She is the epitome of early 20th century engineering and the “can do” American attitude of the time,” Ritchie said. But she was in rough shape after being decommissioned in 2010 and languished for a few years at the Brooklyn Navy Yard. A group of volunteers took on the task of fundraising and doing extensive renovations. At first, Ritchie said, the group struggled to find the right home port for the boat, but eventually came to Greenport. The boat looked so bedraggled that initial community response was mixed, but the group soon proved that they were determined to restore it and turn it into an asset and source of pride for the Village. They more than delivered. 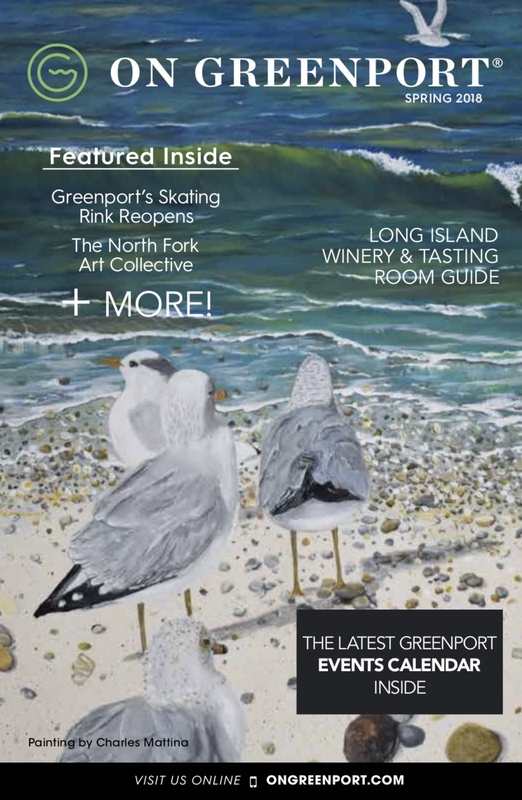 “Being in Greenport has allowed us to work on the vessel, draw visitors from all over the world, forge close ties with the fire fighter community, and be an attraction that is free to all,” said Ritchie. Now, after six years, Fire Fighter has been fully restored and gleams with fresh paint in its original 1938 colors. In celebration of the vessel’s 80th birthday, from August 26th through Maritime Festival weekend, the museum will be open for extended hours, and will host guest speakers and put on water displays. Regular tour hours are Saturday and Sunday, 11 a.m. to 5 p.m. All tours are free, but donations are appreciated and merchandise is on sale. Schedules and more information can be found at www.americasfireboat.org.